Intelligencerprofile July 12, 2015 9:00 p.m.
After the dreams of Martin Luther King Jr. and the hopes of Barack Obama. Coates took the long walk back to Union Station and found himself thinking about Baldwin. The warm optimism of the early civil-rights movement (the insistence that the universe has a moral arc, the sense of destiny in the lyrics to “We Shall Overcome”) echoed in Obama, but Baldwin had not shared “all of this sentiment and melodrama; he was just so cold,” said Coates. 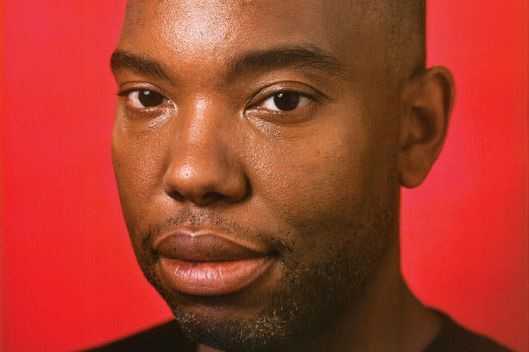 “Baldwin was saying, ‘You should be aware that failure is a distinct possibility.’ That was so freeing.” Coates called Christopher Jackson and asked him why no one wrote like Baldwin anymore, and the editor suggested that he try. The book Coates eventually wrote wasn’t exactly that, though it borrowed its form from The Fire Next Time, part of which is addressed to his nephew. But it argued that what the president had called despair was actually the product of experience. 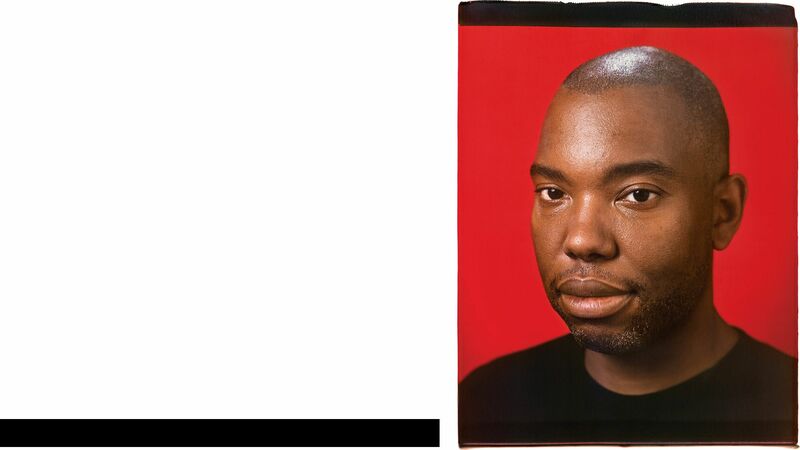 Coates arrived at Howard University in 1993, when he was 17 years old, as Afrocentrism was just beginning to lose strength as an intellectual force, a shift that complicated Coates’s own nationalism, in particular his veneration for Malcolm X. Coates was writing poetry then, and the effort pushed him into a circle of older black writers. They often told him how much more he had to learn. One mentor, the poet Joel Dias-Porter, quit his job and moved into a homeless shelter for two years so that he could spend each day at the Library of Congress, working through an impossibly long list of books he felt compelled to read. Coates developed a similar ritual — sitting down each morning at the Howard University library and requesting three books at a time, battling with the histories of nationalism and integration in his mind. A community grew in his comments section, but it was a community of a particular type: liberal, wide-eyed, pining for moral authority — and redemption. “Coates’s creepshow commenters asking him to forgive their sins,” the left-wing critic Fredrik deBoer sardonically described it. Last week on Twitter, a woman asked Coates about the pronunciation of his first name: “I’m really curious what the etymology is that makes the ‘hi’ a ‘hah’ sound?” Coates replied, “It’s an ancient, arcane dialect which we like to call ‘hood.’ ” One irony of Coates’s war on white innocence is that he has arrayed against it an army of white innocents. In the fall of 2012, Coates told his editor at The Atlantic, Scott Stossel, that he wanted to make a case for racial reparations in the magazine. The case was formless then, but over the following months it took shape as an account of the experience of housing discrimination in Chicago and the way government policy deliberately fenced blacks into particular neighborhoods and denied them the benefits that went to whites nearby. 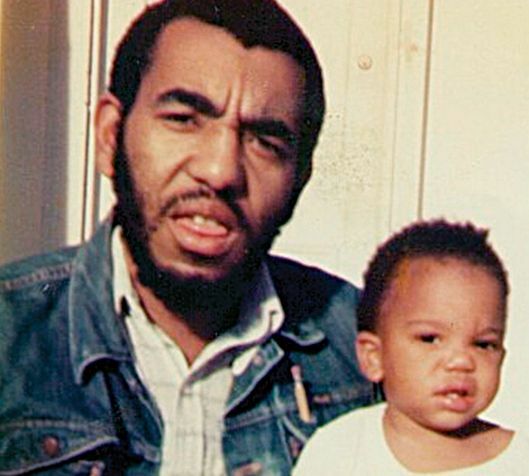 Coates’s hero was a 91-year-old man named Clyde Ross, who had left the segregated Mississippi Delta, where his family had been unable to keep white people from simply taking their possessions, and come north, only to be trapped by redlining and predatory banking into a home loan that he had no hope of repaying. Ross became an activist, but in Coates’s alchemy, he became a symbol of the presence of history, a physical reminder that these crimes did not happen so long ago. The great theme of the piece is plunder (the word appears 14 times) — of what was taken from African-Americans specifically because they were black and not because they were poor, and specifically because of government policy, and recently. Reparations were morally necessary, Coates argued, because the harm was so tangible. He wrote, “Plunder in the past made plunder in the present efficient.” The essay had a moral consequence too, to refocus the idea of reparations. Coates’s reparations weren’t about the country cleansing itself of original sin. They were restitution to be paid for property that continues to be taken. That article appeared two months before Michael Brown was killed in Ferguson. Coates’s view of the world was growing starker. “It’s only in the last 18 months that he’s said he’s a nonbeliever,” said Jelani Cobb, a close friend of Coates’s since Howard and a historian at the University of Connecticut. If you did not believe in the soul, then police killings took on especially high stakes because the body was all you had. Coates said he would not have written Between the World and Me in 2008. His view was less bleak then, less concretized by history. “I have become radicalized,” he said. Part of what distinguishes Coates is that he is not interested in uplift. Obama’s insight into his own biography was that it revealed American progress. Coates saw far more stasis running in the background of his own life. When he spoke in Charleston, Obama took his metaphor from “Amazing Grace.” Through God’s grace, the president said, Americans could now see the legacy of brutality that the Confederate flag embodied clearly. Coates’s writing takes an almost opposite position: that religion is blindness, and that if you strip away the talk of hope and dreams and faith and progress, what you see are enduring structures of white supremacy and no great reason to conclude that the future will be better than the past. The Monday after the president’s eulogy in Charleston, Coates flew to Colorado for the Aspen Ideas Festival. Private jets were scattered over the tarmac, each sleek and bony as a fish skeleton. Aspen is a junket to end all junkets. Tickets cost up to $9,000; there are pop-up planetariums; at sponsor dinners, Atlantic writers sometimes stand up from their tables, forks clinking against glasses, and discourse for three minutes about, say, mass incarceration. The speakers are ideologically promiscuous. The collision of real intellectuals and real money is surreal. The next morning, Coates debated Mitch Landrieu, the Democratic mayor of New Orleans, on the sources of American violence. The exchange was moderated by Coates’s friend and colleague Jeffrey Goldberg. The mayor — shaven-headed, coachlike — had made crime in black neighborhoods a political focus. It was an issue on which he was accustomed to being the good guy. The search engine Bing had sponsored an app that allowed audience members to rate the speakers in real time. Landrieu said he hoped they liked him. Coates said, a little masochistically, he hoped they hated him. “It is my fault if I knocked you off the chair,” Coates said. “I didn’t say it wasn’t,” said the mayor. Landrieu started to talk about “black-on-black crime,” then retreated, saying he might be using the wrong words. Coates said the term didn’t offend him: “I think it’s actually inaccurate.” The plain fact, he said, was that when black people killed one another, the victims were their neighbors. They didn’t kill their neighbors because they were black. Inner-city violence, he said, had everything to do with the legacy of structural neglect in the inner city and nothing at all to do with culture. Even from the cheap seats, it was clear that Landrieu was struggling, that there was some turn in the politics of race that he had not fully comprehended, some way in which the old Clintonite phrasings were failing. In their place was a more radical language, of structuralism and supremacy. Now that language has a place in Aspen. Coates’s book is, he said, “oddly conservative” in its sense of the futility of individuals confronting the structure of white supremacy, in its pessimism about what can be changed. Goldberg asked what he would do if he were in Landrieu’s position — surely there was something, “I don’t know what I’d do if I were mayor, but I could tell you what I’d do if I was king.” He’d let criminals out of prison, he said. “And, by the way, I include violent criminals in that.” Goldberg asked what he meant by “violent.” “Gun crime, too,” Coates said. Late one evening at Aspen, Coates was in a lounge with some of the conference’s other speakers. Things were a little bit boozy. Melody Barnes, formerly the president’s domestic-policy adviser, sailed by. Goldberg monologued jokes from a couch. Everyone in the room was almost exactly equally famous — just a little bit famous — but somehow the evening seemed to hinge on when NPR’s Michele Norris would arrive. A friend of Coates’s was back from a conference-sponsored tour of a marijuana-grow operation, a little high and with product in her backpack. Coates inquired with interest about how she had procured it. The friend said that Coates had it all wrong, that this was Colorado in 2015 and no evasions were required, that all you had to do was go down to the store. Progress was in the air — days after the Confederate flag had fallen and gay marriage had been legalized across the country, here we were in a place where you could buy marijuana by walking into a store. The changes seemed to speak to the great question of the late Obama era: Would the half-century-long era of increasing prosperity and expanding human freedom prove to be an aberration or a new, permanent state? To Coates, the long arc of history was simply too strong, too rooted in human nature. From Baldwin’s writing, he had concluded that though struggle was essential, progress was not ordained. If white supremacy were ever eradicated, Coates said, he suspected it would simply be because the country had found “a new peon class,” someone else to kick around. What a strange, dark, beguiling place America is. It killed Prince Jones. 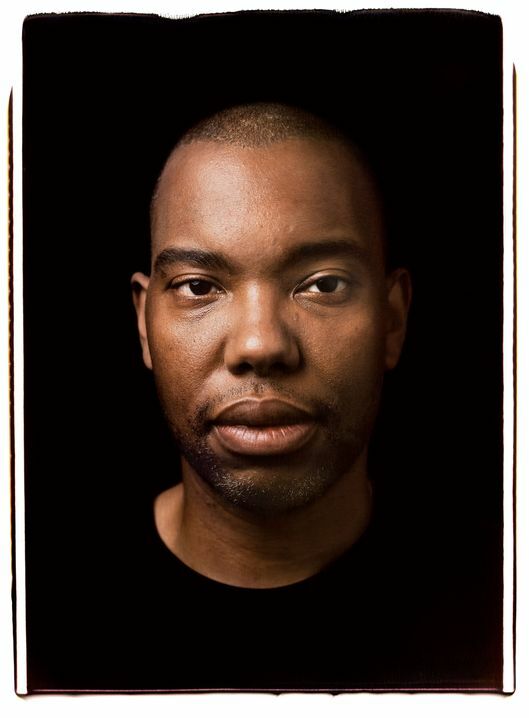 It reveres Ta-Nehisi Coates. Coates is leaving the country. In a few weeks, he’ll move to Paris with his wife and son for a year. Part of the attraction is simple pleasure. Part of it is the intellectual project of viewing state supremacy and race in another place, to discern whether America is truly exceptional or not. Part of it is the welcome exchange of one social mask for another: Because his French is not so smooth yet, he says, he is seen first as American in Paris rather than as black, and this is a relief. Coates’s vision is already clear. In the chapter of his book set in Paris, Coates finds himself ruminating on the old Baltimore codes that took him too long to shake. 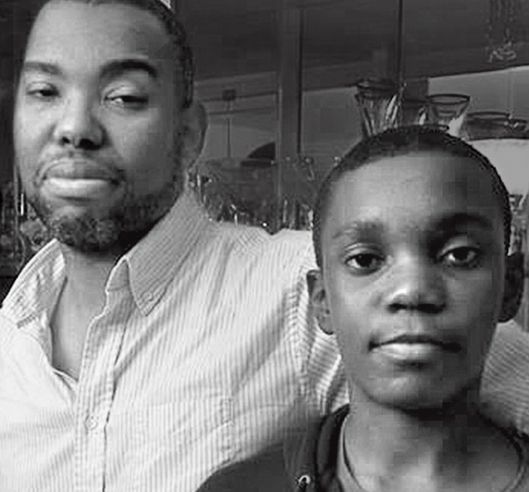 “What I wanted was to put as much distance between you and that blinding fear as possible,” Coates writes to his son, about the allure of Paris. 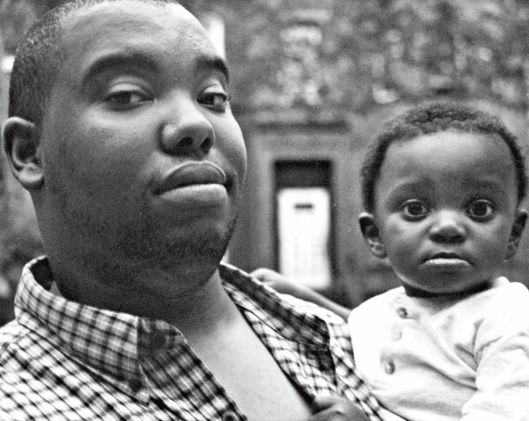 “I wanted you to see different people living by different rules.” Travel is an ordinary, bourgeois desire for one’s children: “I want him to see more than I saw,” Coates said. It is also the instinct of a survivor, who realizes his home is fundamentally inhospitable: to keep an eye on the exits, and to map out the routes of escape.